Our Large Package is the perfect setup for a business with a lot to offer. This gives you enough pages to include information about your staff, your products and your location with room to spare. This also includes a shopping cart module. We will design 16 pages with whatever content you would like them to have. This can be an informative page about your business, perhaps a contact page, a menu for your restaurant, maybe directions to your establishment, etc. 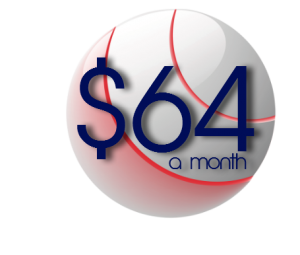 We include 18 email address with this starter package at no cost. You may purchase additional blocks of email addresses if needed. You have access to our support forum and are able to submit tickets for troubleshooting. You also get full access to our knowledge base. This will allow you to sell products on your site.